To get an idea of what's involved with throwing an event like Electroluxx, AppleInsider met with the event's creative director, Elliott C Nathan, who has been collaborating with partners Brett Mendenhall, Alex Fonti and Danny Snodgrass over the past three and a half years to develop a series of alternative nightlife events at various venues in San Francisco and Los Angeles. Last year, in a profile by YourEDM, Nathan explained that "rather than focusing on making huge profits, we reinvest all of the money earned back into the production to bring in more visual and experiential artists, more DJs and musicians and rent larger venues with opportunities for multiple stages and huge music lineups. We want to be a springboard for artists and musicians to showcase their current projects." As a full-time artist himself, working in interactive sculpture, stage design, canvas and mural painting, Nathan brings his background and original style to the project's promotional marketing collateral and to the layout and stage design of the event, both using Adobe Creative Suite apps Photoshop and Illustrator. Those apps are also used to design and template 3D art structures built for the stage and brought to life using video projection mapping. Coordinated RGB flood lights are also used to animate static paintings, integrating with music playback to make the art itself appear to dance. Nathan uses a variety of social media tools to promote Electroluxx events to followers, including Snapchat and Instagram Stories. He uses Apple iMovie to compile simple video "promotional flyers" for social media sharing, incorporating clips from previous events as well as capturing "behind the scenes" set design and party elements he's working on for upcoming events in order to build anticipation and let attendees know what they can expect. Nathan also coordinates the efforts of his team of creative partners, working to integrate different experimental art projects. That circle includes Matt Bush, a full-time Silicon Valley software engineer who has been contributing original development work related to projection art for Electroluxx events over the past two years. Bush is taking over the main stage for the event's upcoming party at Public Works this Friday. In addition to his original projection designs, he has also developed programmatic lighting effects for the event's 2D artwork and 3D shapes hung on the stage. Ian Chisholm is another projection artist who works with the Electroluxx party. He uses Mad Mapper software to create a model of real world sculptures, which can then be broken down into surfaces, each overlaid with different video streams. Chisholm is currently working on a projection project using the Nested Dome Ball, an object built by Nathan incorporating a projector-illuminated glass ball and reclaimed wood. Tyler Doshier works with Electroluxx as its Virtual Reality artist. Working on several projects at Microtrip, Doshier has developed original VR experiences that have been showcased at Electroluxx and other events over the past year. Doshier builds immersive experiences with Oculus tools and uses Samsung Gear VR headsets to take event attendees on "an incredible surreal experience" within the wearable displays with rotational tracking. He discussed plans to further incorporate new dynamic elements that can tie VR experiences into the event's music. Using the Oculus development tools. VR experiences can also incorporate user-interactive video gaming elements. The group's next Electroluxx event at Public Works takes over the venue's main stage, but it also plans to spill out into a "silent disco," where attendees can experience a virtual stage outside, wearing headphones. The wireless headsets let dancers choose between one of two feeds coming from dueling DJs. The DJ channel that dancers select lights up on their headsets, so others can see which music feed their friends are dancing to. Without a headset, the outdoor party area is quiet, avoiding complaints from neighbors as well as noise interference with the rest of the event. On the business end, Brett Mendenhall works as the event's production director. He coordinates communication among team members using the Slack mobile app, which he noted allows for a half dozen or more simultaneous conversation threads to occur without confusion. Mendenhall also coordinates social media event promotion for Electroluxx using advertising on Facebook and Instagram, using audience segmentation to optimize promotion to best reach the event's target crowd. He also partners with local events platforms and radio stations to increase reach, running giveaway promotions for fans. 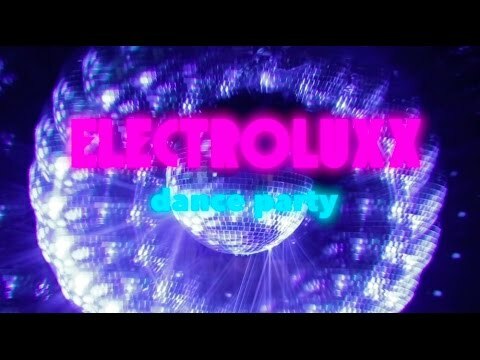 The next Electroluxx event is being held this Friday, March 24 at Public Works.